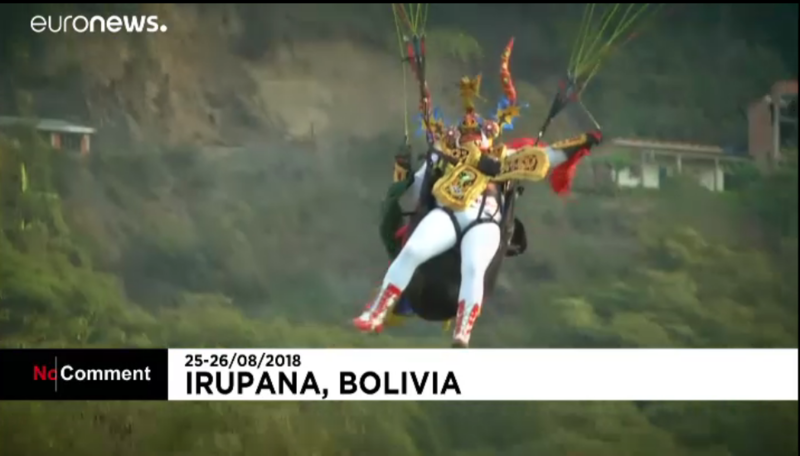 Paragliders in fancy-dress took to the skies over the Andes mountain range in Bolivia. 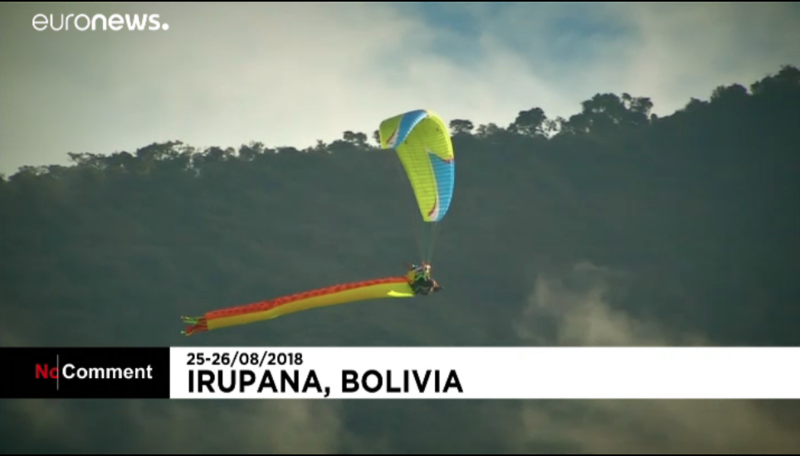 Held in Irupana, a town in the Los Yungas province of Bolivia, the competition saw over 50 paragliders taking part from Brazil, Peru, Chile, Argentina and Bolivia. 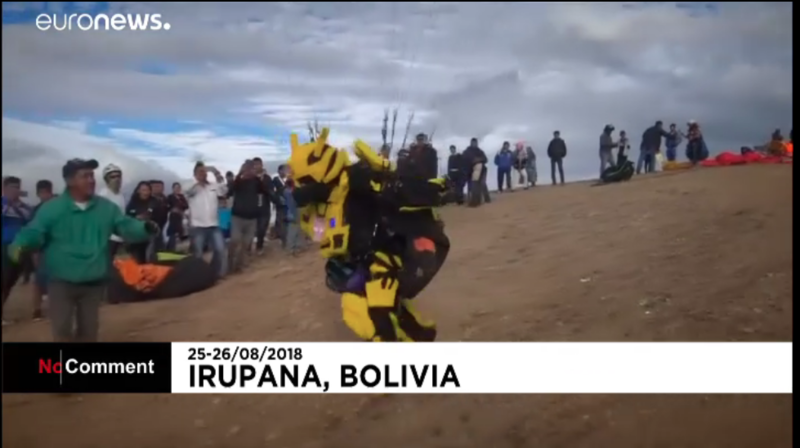 The tournament had many costume-themed categories, where pilots dressed as the “Bumblebee” character from the franchise “Transformers” and the flying house from the Pixar film “Up” among others. The high peaks and thin air in Bolivia have made it a popular location to paraglide among experienced pilots.